Bistro Jeanty has a few designated spots for the restaurant as well as street parking. In everyday French life, it is the Bistro that is woven into the daily pattern of meals and celebrations. 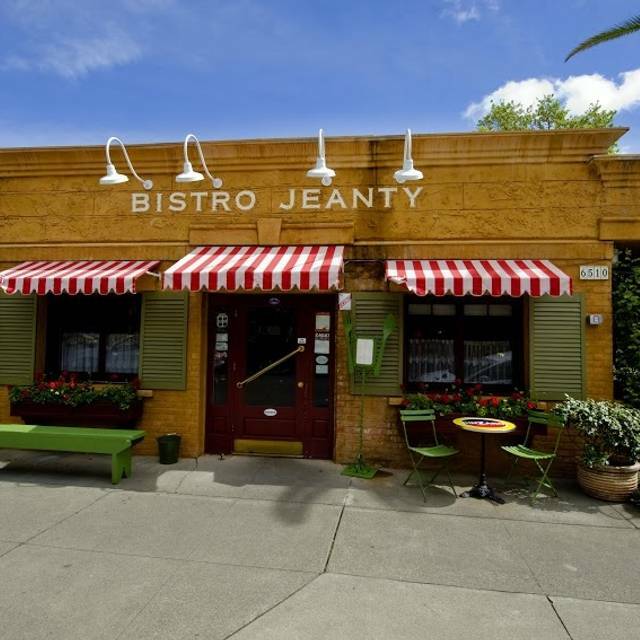 The only French owned and operated restaurant in Napa Valley, Bistro Jeanty has been received by patrons from all over as a true French bistro. 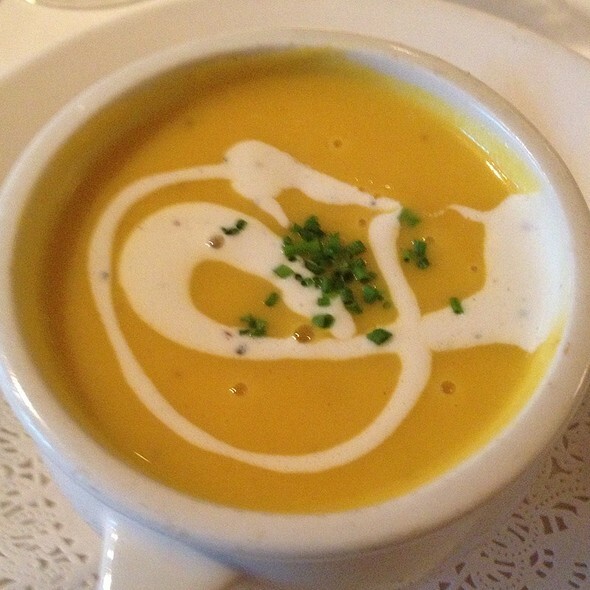 The warm interior is a reflection of the casual elegance you find in every meal. Classic dishes such as Mussels au vin rouge, Cassoulet, or of course Philippe’s famed Tomato soup make you feel as if you really have traveled into the French countryside. From all of us here at Bistro Jeanty we invite you to come and share in the excitement of dining. Smelt, pate de compagne, butter lettuce, muscles, smoked trout, pitcher of house red.... all wonderful. This is my favorite restaurant in the greater SF Bay Area. We were there for lunch with reservations for 1 p.m. on Monday following Easter. Lunch for the 4 of us couldn't have been better. For me the butter lettuce and the smoked trout were highlights. Love the place. Only thing that would have made it better is if I had given enough advance reservations request to sit on the beautiful patio. Outstanding from top to bottom. Get the tomato soup. I don’t like tomato soup. But theirs is out of this world. 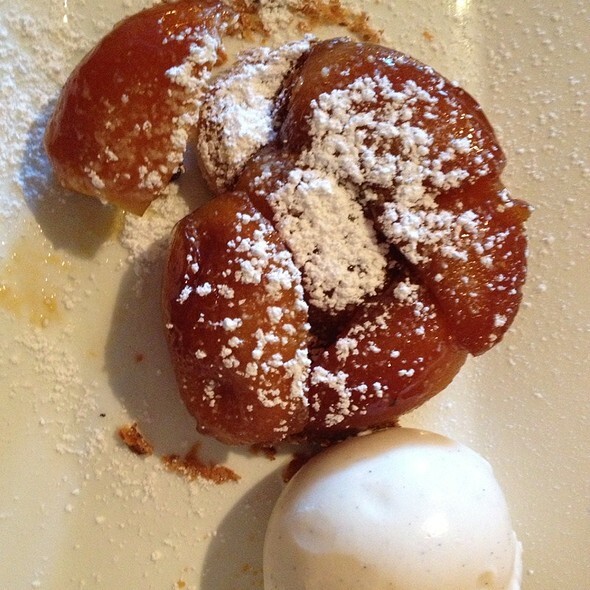 I invited a friend to try Bistro Jeanty and she enjoyed it. Our server allowed to try the burgundy and after tasting the sample we opted for the Jordan Cabernet. Our server was knowledgeable and provided his recommendations: fried pigs feet, rabbit, ribeye steak, and Pate. This is my third time and it will always be my favorite place. We had a great experience, our service Isaac was outstanding, his recommendations were perfect, food was superb; my husband and I had a lovey time celebrating our 3rd wedding Anniversary. We will definitely come back. 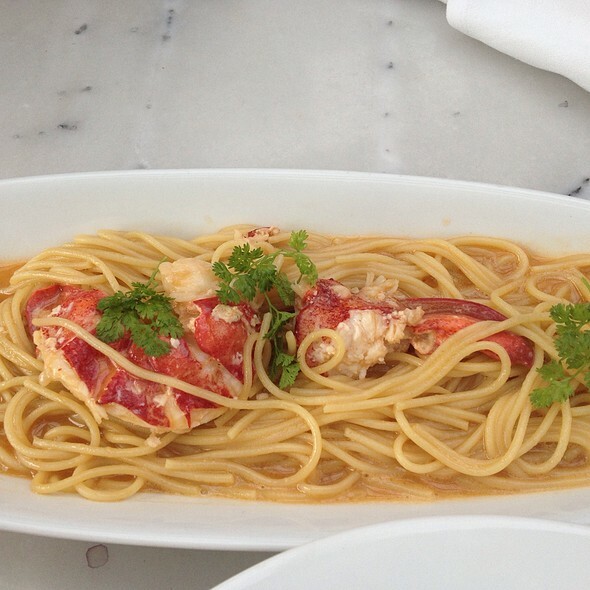 The waiter was very knowledgeable and honest sharing the details of the menu from what's in season to his favorites. It's my third time here and thus far, all dishes have always been consistent, rich and flavorable. Price is extremely reasonable with generous servings. It's one of our favorites so we always make sure to stop by on our quarterly visit to napa. I was looking forward to this experience and was not disappointed as the bread arrived which took me back to my childhood. We then both had the soup, me the tomate en croute and my partner the onion which was fabulous. I then had Salad Lyonnaisse which was perfect. We then waited for our entrees. We had an hour and thirty minutes for lunch on our wine tour. People who followed us came and went, and unfortunately we did not ever get to have our entrees. I was very sad as I will likely never get this way again, this was a bucket list vacation for me this week. Excellent experience!! Very good food, great service and on a very good environment!! We recommend that place. 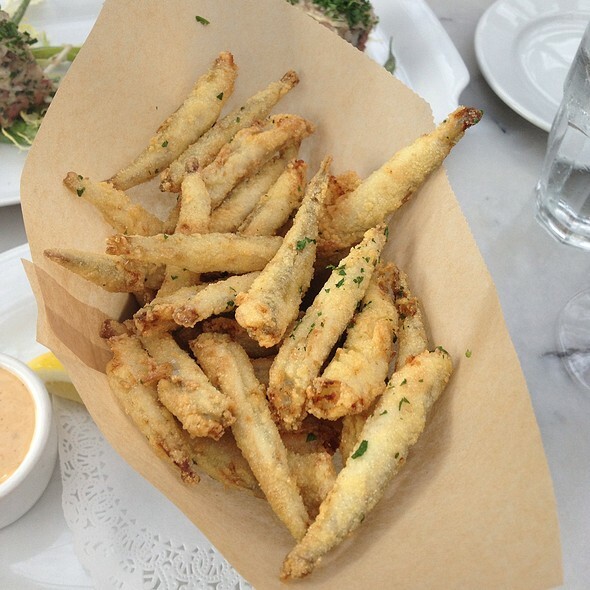 One of the best in Yountville!! We sat outside, and when it got chilly they turned on the overhead heaters. The food was top notch, large servings, the service was polite and attentive, and the atmosphere was very romantic. French onion soup still the very best!! Rack of lamb was perfect. Too much food but too good to resist. An excellent restaurant for French provincial dining. We both loved the cassoulet, and the lamb chops. The atmosphere was also very pleasant, slightly casual, but fussy. A very nice place for a special occasion, or just if you happen to be up in the wine country for the day. Food was at the same level as comparable bistro restaurants in SF. Too noisy....difficult to hear conversations. Amazing restaurant! Good delightful, service was great. Would definitely come back! 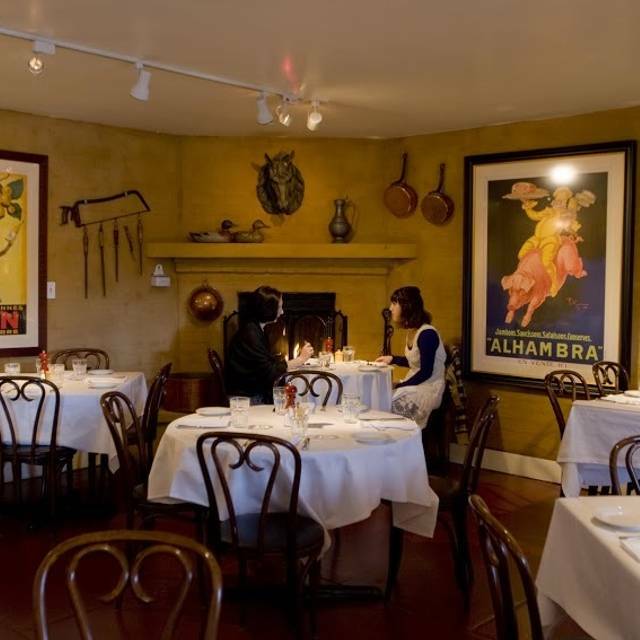 A must-dine in the Napa Valley for true French flavor and California fabulousness. The specials .. oh the specials. 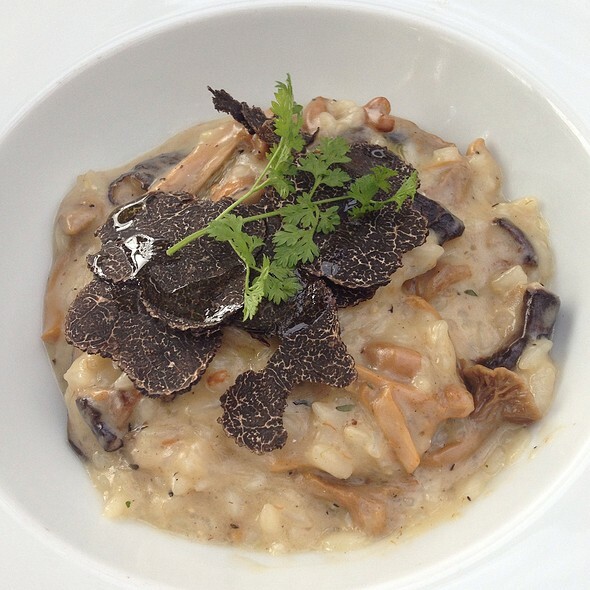 We selected the rabbit risotto and the Lamb, the waiter guided us through the ordering and he was not mistaken. Service was superb and food even better. Food was amazing and service from Arturo was on point. Always vibrant and great experience. Excellent food and service. Wonderful atmosphere. Very French restaurant in the middle of Yountville. You will think you are in Paris or Provence. Food is very good. Extremely loud background so do not plan on an intimate, romantic conversation. Service is good, but they will not let you substitute veggies for starch which is abundant on the menu accompanying the entrees. Hey, guys, it is 2019 and nobody eats carbs any more! Decent portions and fair prices for the wine country Gold Coast. was friendly, attentive and knowledgeable. We went back a couple days later for the dessert that we didn’t have room for first time around. Bistro Jeanty is very good French food restaurant in yountville . Very accommodating to wheelchair users. Food was delicious -- portions are almost too large: if this was in my home town I'd love that, but as I was traveling it was sad to not finish plates. Creamiest quiche I've ever seen, and the Tomato Soup is pure perfection. Overall it was a very nice experience. We were celebrating my husband's birthday. Unfortunately, you were out of the Rabbit and Foie Gras which is what my husband was looking forward to ordering. He ended up ordering the Filet Mignon which was delicious! I ordered the signature Cream of Tomato soup and Sole which were scrumptious. The service was great. The noise level was quite high. Great place to drop in for a delicious lunch. My sole was perfectly done. Service was friendly and efficient. It was nice to be able to relax and enjoy a nice meal. Had the specials of the day - Deviled eggs and the Scallops. Both were delicious. Will return again .. Everything ion the menu sounds good. I went for the Daube (Essentially pot roast ) which was superb and better than I recall when I had it last time a couple years back. My Server was the quintessential attentive but not obtrusive attendant to getting food and (in my case, for the table) water served in good time and order. Essentially never had to ask for anything. We also had Mussels, the Petrale, and Puff Pastry Tomato Soup. Americanos to close. Full. We regularly visit Bistro Jeanty for its elegantly comforting (and delicious) dishes, its charming bistro ambience and its warm, friendly service. Two of our most familiar servers, bartenders John and Sarah, always make us feel welcome and well-taken care of. We return monthly not just for the food, but for the overall feeling of contentment this restaurant serves us--each and every time. Merci! Always a winner when you are in Napa Valley! Highly suggest you go but make resos early to insure you have a table. Had a great dinner. Everything was rich and very flavorful, which was what I was hoping for. If you’re looking for something lighter probably not the place to go. Great food in a fun energetic atmosphere! Would recommend and go back. 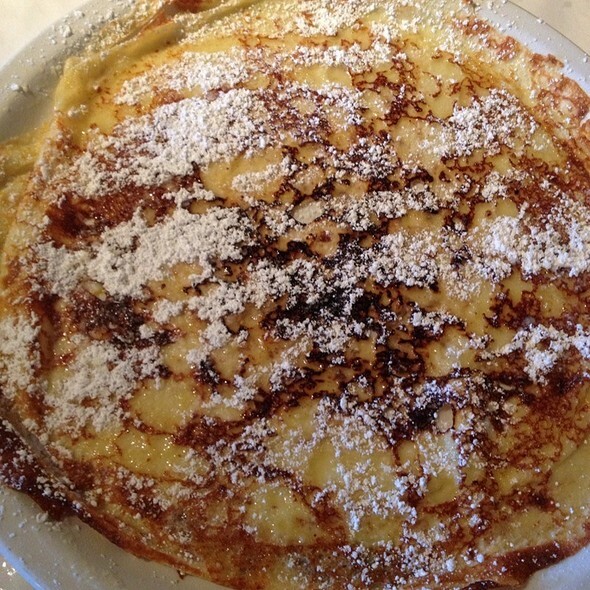 This is our second time to visit Bistro Jeanty, and we cannot wait for our next. The location is a perfectly easy walk from any of the hotels in Yountville, or an easy drive if coming from elsewhere in the valley. Staff and service are outstanding- you never have time to realize you need something before they are already taking care of you. The food- just wow! On this visit I enjoyed the Os a Moelle (roasted marrow bones) and could have easily called the night a success with that. Perfectly roasted, with complex flavors hidden behind a very simple plating. My entree was the Filet au Poivre, and it was so rich, decadent and tender that I am probably going to be critical of any steak I have from here on. Our server provided excellent recommendations for wine pairing, and that extended into dessert where I was able to taste the "Humboldt Fog" paired with a delicious Armagnac. Oh yeah, my wife enjoyed her food as well, but I forget what it was- mine was so delicious I didn't even want to try anything else! My husband and I were in Napa and Sonoma for a week. 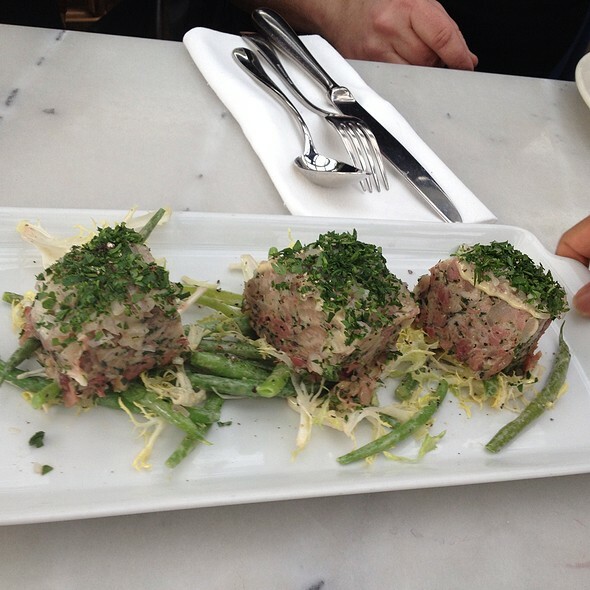 Had lunch at Bistro Jeanty and it was so good that we went back for dinner the next day. The tomato soup is a classic with an amazing pastry top. The mussels were my favorite, and it came with a ton. Definitely recommend sharing. We split the soup and mussels for dinner and it was plenty of food for two. At lunch we made the mistake of splitting 3 appetizers for our meal and it was way more food than we could eat! Love this place!! Feels like you're in Paris. Food was great, however our waiter lacked personality. For the prices, he could have done better when we asked for suggestions. Second time we were there and will come back. Food is outstanding.